The perfect blend of alternative, punk, garage and blues makes up Canadian indie rock band July Talk. Their eponymous debut album brings 14 refreshing tracks to the maple leaf music scene. “Guns + Ammunition” has an addicting beat in the company of catchy lyrics, with lead singers Peter Dreimanis and Leah Fray’s vocals taking indie music to the next level. Dreimanis’ rough and rugged tone is polar opposite to Fay’s pure, angelic voice, and this clash creates an exceptional sound. While “Paper Girl” sounds more pop, Dreimanis’ vocals partnered with Fray’s soft voice make the dysfunctional relationship-themed song one to make you hit repeat – at least a few dozen times. 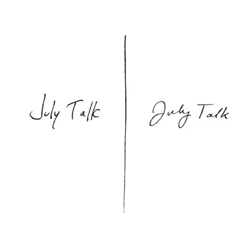 July Talk’s mashed up talents and musical concept of mixed genres is one to remember, and this is definitely an album to pick up. Her first English album in over five years, Loved Me Back to Life is Canadian pop icon Celine Dion’s 25th studio release. Her vast experience shines through, as this is a solid album from beginning to end. 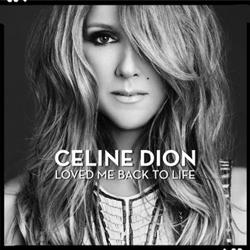 Loved Me Back to Life opens with the title track, a powerful ballad that showcases the beautiful pipes Dion is famous for, although she is dwelling on a new style for her. From her Las Vegas show, Celine, this album also offers up a cover of Stevie Wonder’s “Overjoyed,” with Stevie himself featured in the duet. “Somebody Loves Somebody” is a more beat-driven track, somewhat of a stylistic departure for the pop singer. Overall, Loved Me Back to Life is much more contemporary than the releases that Dion is famous for, but, while different, it is still a good listen. 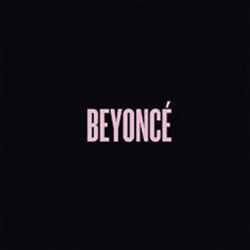 Queen Bey surprised her fans this Christmas by dropping a full-length album on iTunes that was kept a complete secret. It also included a full-length visual album meaning that fans recieved 14 full Beyoncé tracks, accompanied by 17 cinematic videos. The tracks on Beyoncé are soulful and chock-full of the empowering lyrics with the R&B smoothness Beyoncé is known for. This is definitely an album listen to. Like, now.